In an era where the digital and virtual worlds jostle with the reality of the physical world, Towner Art Gallery is designing an exhibition that is a ‘playful and immersive celebration of the physicality of the object in our digital age’ across its first floor gallery and into the public areas beyond. The Everyday and Extraordinary looks at the object as material, inspiration and subject in sculpture, painting, print, photography and animation. The exhibition draws inspiration from the 19th century poet Comte de Lautréamont whose descriptions of extraordinary juxtapositions of unrelated imagery had a major influence on Surrealism, the work of Marcel Duchamp, who later designated the found object as ‘ready-made’ art in 1913, and Andy Warhol who ‘democratised art through popular culture’. These concepts, curators say, all unite in Philip Core’s painting The Chance Meeting on an Operating Table of a Sewing Machine and an Umbrella: Andy Warhol and Marcel Duchamp (1978), providing the context for The Everyday and Extraordinary. 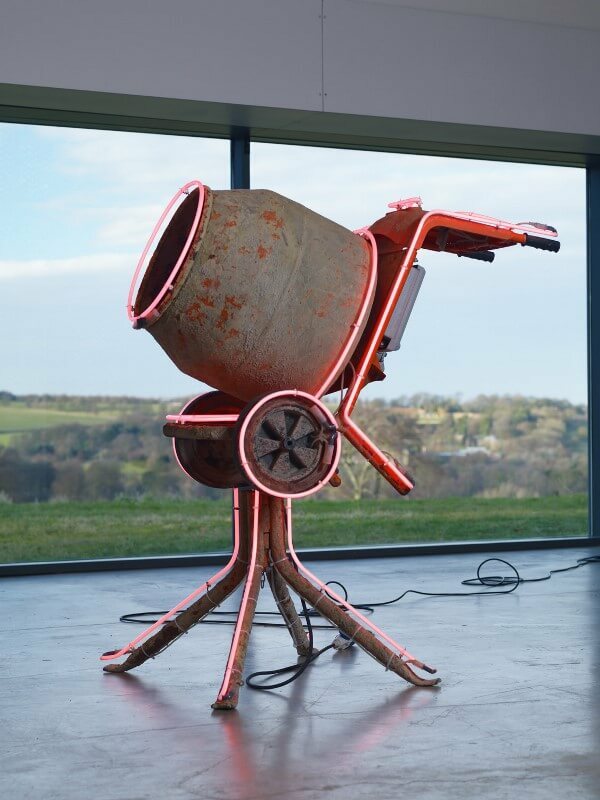 Visitors encounter The Everyday and Extraordinary immediately on entering the gallery where David Batchelor’s neon-dressed, found concrete mixer Pink Pimp Mix (2006), sits in the gallery’s front window. On their way upstairs to the first floor, visitors are confronted with Preserve (Chateau), Anya Gallacio’s exploration of decay, temporality and aesthetics in which 100 red gerbera flowers pressed between the wall and a sheet of glass slowly decay during the exhibition. Also situated on the stairwell is Five Heads by Jean-Luc Vilmouth, in which eyeholes are cut into a bucket, a scoop, a jug, a plasterer’s float and a dustpan, transforming them into humorous and mysterious masklike sculptures. 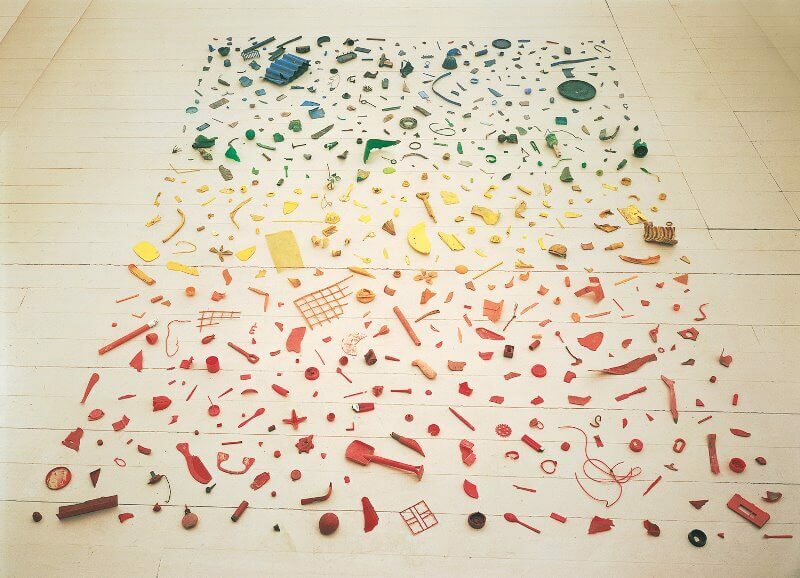 In Tony Cragg’s New Stones, Newton’s Tones a shimmering rainbow-toned floor artwork is created from everyday objects collected by Cragg in just a few hours in May 1978. 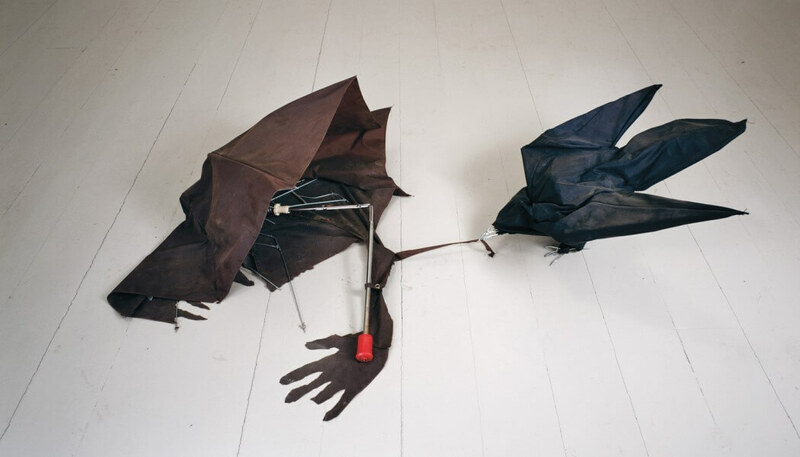 Bill Woodrow’s Crow and Carrion (1981), features a crow that was once a folding black umbrella, pecking at an arm and hand formed from another. Yoko Ono’s anti-war beliefs are revealed in her sculpture All White Chess Set, which lacking black pieces, suggests that players have to work together to continue the game. It is the sixth exhibition selected by Towner from the Arts Council Collection, following At Altitude; We stared at the Moon from the centre of the Sun curated by Haroon Mirza; A Green and Pleasant Land; Now, Today, Tomorrow and Always; A Certain Kind of Light, and the presentation of the Arts Council Collection’s own touring exhibition, One Day Something Happens.